Goodreads appetizer: Great books, bloggers, and recipes meet in this second volume of a fresh and unique cookbook that helps you experience books, not just read them. This year's volume features even more tasty reads, recipes and book bloggers. Books were selected from the author’s book review blog and paired with delectable recipes like “Caramel Crack” from Shatter Me, by Tahereh Mafi, "Everliving Soup" from Brodi Ashton's Everneath, and "Jagged Ham" from Elana Johnson's Possession. Mouthwatering photos complement every recipe. My thoughts: I loved Christy Dorrity's first 2011 Book Blogger Cookbook and as a passionate baker (through my Sunday Treats I combine my love of baking and desserts with my love of reading by sharing with you recipes of some of my favourite treats) I was very much looking forward to this second volume of Christy's bookish recipes. I will confess that my favourite part, the "I'm impatiently turning the pages to get there" part are Christy's introductions/explanations on how and why such book inspired that recipe and why she thinks they fit together. Sometimes the reason is a cover, a setting, a character or even a meal featured in the novel, but every time I am excited to discover this special link pairing the treat with the story. Once again the cookbook has plenty of easy and quick recipes that don't require hours of slaving away in the kitchen and can be whipped up in no time. But Christy takes it up a notch by including some more complex and challenging recipes for seasoned cooks which require some experience or at least effort and time on the baker's end. 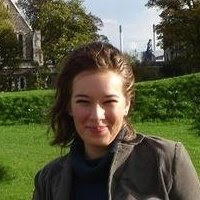 I find it applaudable how besides the big shot, popular and famous titles (like Divergent, Matched and Starcrossed) Christy Dorrity also highlights some lesser known and indie titles as well. Verdict: Once again I was blown away by the creative and delicious recipes (I loved the fantasy names Christy Dorrity gave to each one of them, they were memorable and evocative). The 2012 Book Blogger's Cookbook is a wonderful and mouth-watering compilation of bookish recipes ranging from simple whip up treats to more complex and time consuming concoctions, a must try for any book lover! 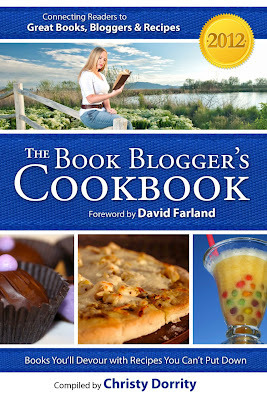 Read my review of The 2011 Book Blogger's Cookbook by Christy Dorrity.